In this work, silver (Ag) nanoparticles were synthesized by simple, eco-friendly chemical reaction using aqueous extract of Rosa brunonii Lindl as a reducing agent. The characterizations using scanning electron microscopy, X-ray diffraction (XRD), energy dispersive spectrometry, UV–Vis spectrum and photo luminance spectroscopy confirmed the successful synthesis of Ag nanoparticles. The suitable antioxidant properties of as-synthesized silver nanoparticles using three assays; DPPH, FRAP and ferrous chelation potential, were confirmed. Various in vitro biological parameters of biosynthesized nanoparticles suggested an excellent antimicrobial activity against different (five bacterial and four fungal) microbial strains viz. Escherichia coli, Kleibsella pnemoniae, Campylobacter jejunii, Bacillus cereus, Alcaligenes denitrificans, Bipolaris specifera, Fusarium oxysporum, Aspergillus niger and Curvularia lunata. The as-synthesized silver nanoparticles were found most susceptible to C. jejunii (bacteria) at 47.11 µg/mL and A. niger (fungal) at 70.9 µg/mL. Further, photocatalytic property of silver nanoparticles showed a gradual increase of degradation (%) of Congo red dye under direct sunlight with respect to time for 3 h in the interval of 1 h each. 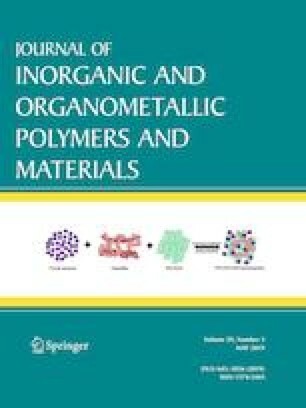 The results confirmed that green synthesized silver nanoparticles are highly efficient for the photocatalytic degradation of the Congo red dye. This work is supported by SERB-DST File No. EEQ/2016/000478 sanctioned to first author and File No. EEQ/2016/000119 sanctioned to corresponding author. In this work, the first and the corresponding author have equally contributed and the authors declare that there is no conflict of interest.